Orange County CA has a total area of 948 square miles and hosts 34 incorporated cities and several more unincorporated cities. With over 3.1 million residents the OC has unlimited potential for a small business to thrive. Compared to many other parts of the country Orange County has it all. A low unemployment rate of 2.6% as of February 2019, the median household income is over $81,000, and a median home value of $725,900. Many small business owners have this dream of being on top of the Google search engine for their products and services. Imagine, anyone in Orange County searching for a carpet cleaner or a kitchen remodeler, and voila, there you are! Sorry to burst your bubble, but in most cases, this is just a dream. If you live in Huntington Beach and you are searching for a service on Google, Google isn’t going to show you results in Yorba Linda, it just would make sense. When someone is searching with their cell phone or home computer, all the search engines like Google, Yahoo, and Bing, look at where your IP address is originating from and then display results that are relevant in that area or location. So owning a business in San Clemente and expecting people to find you in Costa Mesa isn’t realistic nor beneficial for most small businesses. Yes, there are odd cases where this does not hold true, but for the most part, in large congested areas like Orange County, Google really narrows your search radius and keeps all the results local and nearby your location. The key to staying in business long term in the OC, start at home. Build your online presence locally. Set up a Google My Business and Bing Places business listing. You can use your home address and hide it so it won’t come up online if you are a service business. If you have a storefront, then you will want to show your address so clients can find you. You don’t need an SEO company to do this, you can do this yourself, it’s pretty basic and can take less than an hour. Google loves WordPress, don’t even waste your time with Wix or Godaddy website builder. You won’t get the search results that will help you grow your company. Just remember, content is king, write relevant content about your business and your services, the more the merrier. 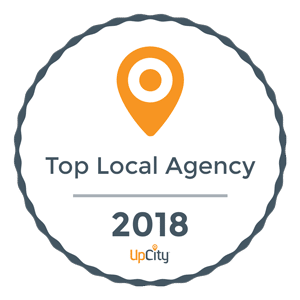 For a small business located in Orange County, having your business listing located at or near the top of any searches in your local area can be a life-changing experience. Calls will trickle in on a regular basis and help save your marketing dollars for rainy days. The longer your company appears on Google with accurate information, the further your online reach will be. Before you know it, you will be getting business from all over, not just your local area! You want to grow quicker, we can help. At the same time, you need to understand that everything starts at home. In most cases, if your business listing is ranking in your local area, it just might be enough and you get to stay close to home!